The kit is a sandwich enzyme immunoassay for in vitro quantitative measurement of this index in serum, plasma, tissue homogenates, cell lysates, cell culture supernates and other biological fluids. Intra-assay Precision (Precision within an assay): 3 samples with low, middle and high level the index were tested 20 times on one plate, respectively.Inter-assay Precision (Precision between assays): 3 samples with low, middle and high level the index were tested on 3 different plates, 8 replicates in each plate. 2. Add prepared samples, standards and ELISA solutions. Let them react for 60 minutes at 37 ℃. 3. Wash the plate five times. Add Chromogen solution A and B. Incubate for 10 minutes at 37 ℃; for color development. 5. Read the OD value within 10minutes. leading international biological high-tech enterprise. 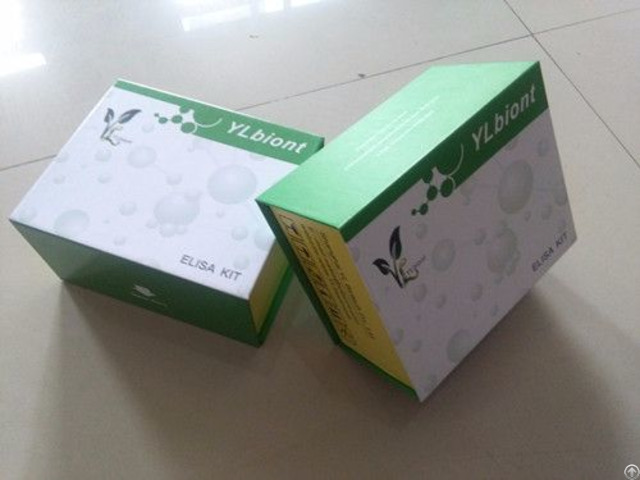 the company focused on the immune detection reagents of independent research and development, the main products include ELISA kit, CLIA kit, protein, antibody, mark kit and other related reagents, which a total of more than 20000 products! Through the national support and new high-tech industries promoted, we has been the advanced production technology in the field of biological kits. YL company will continue to research and develop, improve competition of products quality. At the same time, the products of the research and development face the market at home and abroad.